Connecticut health care thought leaders again gave our state a C+ grade for health reform last month, but our GPA dropped from 2.4 to 2.2. 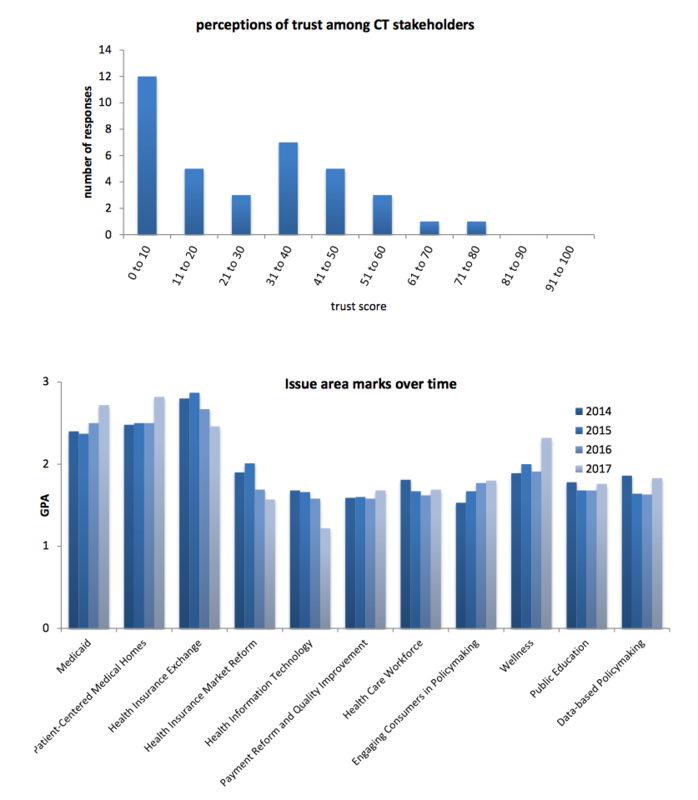 Connecticut’s grade for effort didn’t change from last year still at a B-/C+ (GPA 2.5) in this survey. Connecticut continues to earn higher marks for Medicaid and the health insurance exchange. Grades for patient-centered medical homes were down from past years. Lowest marks went to efforts to address the health care workforce, the only area that received a D grade overall. Unlike past years, thought leaders gave more C’s across the majority of issue areas mirroring the overall grade for the first time. 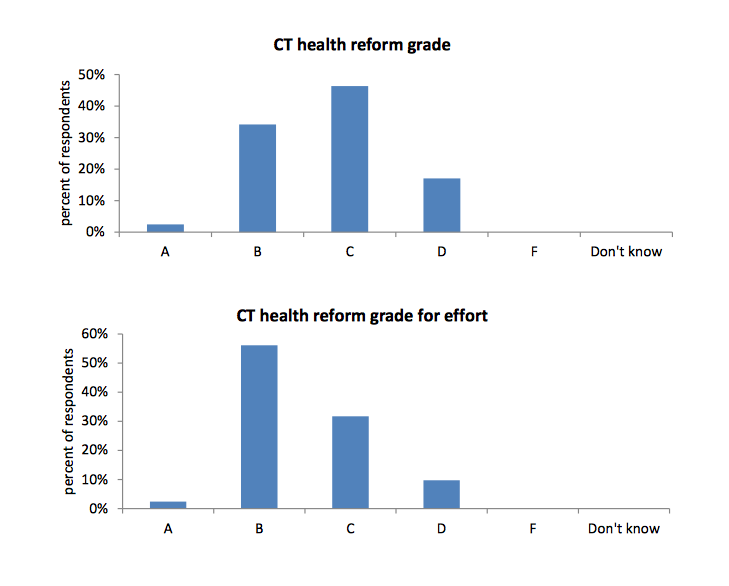 A new question assessing the level of trust between stakeholders in Connecticut health policymaking elicited low responses, averaging only 26 out of 100 possible points, with zero to ten being the most common response. Low trust scores were found in every stakeholder group. Methodology Sixty-one thought leaders across Connecticut’s health fields and sectors were surveyed online between December 20, 2016 and February 9, 2017. Forty-one (67%) responded. The invitation list was collected from membership of health-related state councils, board and committees, and leadership of health-related organizations. Respondents represented community organizations, foundations, providers, payers, consumer advocates, labor, media, business people, insurance brokers, and academics. To ensure independent responses, state officials responsible for reform were not surveyed.